Milene Couto is currently about 3 weeks into an 8-week trip organized by the ReNature Foundation where she’s volunteering with 6 other change makers to build a regenerative agroforestry farm. Talk about living by example! When she heard about an amazing opportunity to volunteer with ReNature, she jumped on it. As her friend, and as someone who appreciates the power of Social Icons using their platform to bring awareness and make positive contributions to the world, I couldn’t be more proud. Please go follow the remainder of her trip in Indonesia, and all the others doing great work there! Agroforestry is a system that we as @renaturefoundation volunteers believe in very much. 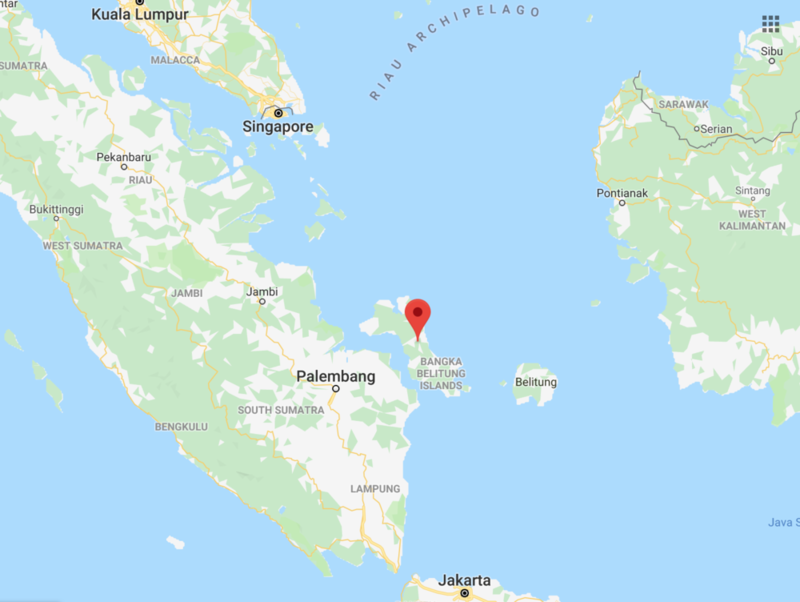 We have been here in Bangka Island several weeks already, bringing the idea and the resources to implement a great design of an agroforest to this island so that they can grow regenerative white pepper. It has been an amazing opportunity to teach, learn and live here — a once-in-a-life-time experience. The Indonesian people are very kind, they love to take pictures. They are not used to foreigners on the island, which is mostly inhabited by farmers, mining workers and fisherman so they love taking selfies with us. We all are having our 5 minutes of fame! The food here is very spicy and some dishes have a very specific/strong taste. Being vegan here is a bit challenging since they love to cook with fish, shrimp and chicken sauces. The best thing about the food here is that there are so many yummy fresh fruits and vegetables everywhere you go: papaya, bananas, and my favorite, dragon fruits. The living here is extremely simple. We sleep on the floor, shower with a bucket, and the toilet is asian style so no flush. It’s very hot and humid with a lot of mosquitos everywhere. Despite the initial shock, we realize how adaptable human beings are. Living an un-materialistic life but rich in experience; those experiences shape your life and nature. The idea that “the best things in life aren’t really things” makes so much sense. We want to change how the production of spices and food are done here so it can be regenerative. We are sharing with all the farmers here how it’s possible to implement the principles of agroforestry and that you don’t need to use pesticides and bad chemicals. We are spreading the ideas of having healthy soil and a healthy environment, and how you can still profit from it. Harmony between economy and nature is the key for the future.